Islands Fine Burgers and Drinks, otherwise known as Islands, is a tropical-themed restaurant. To see the different career paths available and to find out how to apply for Islands Fine Burgers online, follow the link at the bottom of the page to get started on your Islands Fine Burgers application today. The company was founded back in 1982 by Tony DeGrazier. The company headquarters are located in Carlsbad, California. Since the very first restaurant that opened in the 1980s there are now over 50 restaurant locations in California, Nevada, Arizona and Hawaii. The locations are all company owned as it does not franchise out locations. Their specialty is obviously their burgers, and you can have any of their creations with either the original patty or instead a turkey or veggie one. The types of gourmet burgers you can get are generally around the tropical theme such as the Hula, the Bleunami or the Big Wave. All the burgers are served with freshly made fries. But if burgers aren’t for you, then the menu also includes other meals. You can find a range of appetizers, soups and salads, beach bowls, island tacos and sandwiches. For afterwards there are also some tempting desserts including a decadent fudge brownie and ice cream sundaes. If you’re only stopping for a short time you can also get shakes and smoothies. Islands Fine Burgers careers offer many different job opportunities for those with minimal experience in their restaurants. These jobs include Servers, Cashiers, Bussers, Dishwashers, Hosts and Hostesses. There are also opportunities for those with experience as management staff at either Assistant or General Manager level. For these roles you will need to show previous employment experience at a similar level. You can also find employment in the corporate sector with Islands Fine Burgers jobs, although these are less frequently advertised. The types of careers available are in the areas of Administration, Information Technology, Finance and Accounting, Sales and Marketing and Legal. For these roles you will need to have a relevant degree and experience in your chosen field. How old do you have to be to work at Islands Fine Burgers? You must be at least 16 years old or over to apply for jobs at Islands Fine Burgers. Working with Islands Fine Burgers jobs there are many opportunities for those who wish to develop their skills and move up the management ladder as they are committed to promoting their leaders from within. For eligible employees there are other benefits including healthcare insurance options and 401(k) retirement plans with company matching. The restaurants are open daily from 11am and close at 10pm Sunday to Thursday and 11pm on Fridays and Saturdays. Busser – The responsibilities for a Busser are centered around making sure that every table is cleaned promptly when customers leave to be ready for the next customers. There will be other daily duties that will revolve around keeping the restaurant clean and tidy. This job is usually paid at the minimum wage. Server – The job description for a Server is mainly focused on serving customers. Servers will take customer orders and deliver them to the tables. You will also need to be able to process different types of transactions. Customer service is a large part of this role. The pay rate for this job is usually between $8-9/hour. Assistant Manager – Working as an Assistant Manager you will need to be able to take over from the Manager when they are not there. You need to ensure that staff are working to the required standards and are keeping the customers happy. You’ll be expected to handle customer complaints. The salary is up to $48k/year. General Manager – The General Manager needs to be able to control everything that goes on in the restaurant. Your duties will include hiring and training new members of staff and ensuring the quality of food that is produced in the restaurant. Managers are responsible for the ultimate performance of the restaurants. The salary is around $58k/year. Practice some common questions to give yourself an edge in your interview once you’ve submitted your Islands Fine Burgers application. Why do you want to work here? It helps to do some research on the company before you go to any interview. You should always have an answer prepared for this sort of question as it is very common. How would you handle a customer complaint? Being able to remain calm under pressure is a good attribute to have in all Islands Fine Burgers careers and so you will need to show you can handle situations like this. What is your availability? They may often have certain shifts that need to be filled and for management staff it’s very important that you can be available for all shifts. Have your availability worked out before you go. Do you have experience in the food service industry? Experience won’t always be necessary for all applications but it will always help. If you don’t, then talk about what skills you have that have equipped you for it. Tell me about a time when you had conflicting priorities. This doesn’t have to be from your previous employment. They’re looking to see that you can manage a workload effectively without constant supervision. It’s easy to start your Islands Fine Burgers job application online. Simply search for Islands Fine Burgers jobs online or go to the careers section of their website. There you can apply online for any of the advertised vacancies. You will need to fill in the online application form with your personal details and upload your resume. 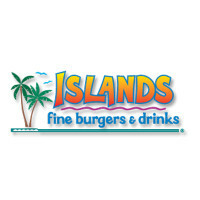 You can also apply for Islands Fine Burgers jobs at your local restaurant if you want to make a direct application. You can visit the restaurant in person and request a free application form from the manager. There isn’t currently an option to download a printable application for Islands Fine Burgers. The interview process is generally fairly simple and quick for hourly positions. But you should still always make sure that you are adequately prepared for the interview, and that you understand the requirements of the role you’re applying for. Read the specifications thoroughly and ensure you understand everything that will be required of you. You won’t need to wear a full business suit if you’ve submitted an application for a restaurant-based position, however it is still very important to be smartly dressed and well presented. Most roles are customer facing so first impressions are always important. You should always greet your interviewer with a smile and keep a positive attitude throughout. Carrabba’s: See this page for jobs at Carrabba’s. Atlanta Bread Company: Visit the Atlanta Bread Company application. Fatburger: Checkout the application page for work at Fatburger. P.F. Chang’s: Checkout the application page for work at P.F. Chang’s. Claim Jumper: For career opportunities, fill out the Claim Jumper online application.